Chapter 752 sets forth the grandparent visitation rights in the state of Florida. In 2002 the case of Richardson v. Richardson, 766 So.2d 1036 (Florida) encouraged the Florida Supreme Court to recognize Chapter 752 as unconstitutional. Chapter 752 now addresses a grandparent’s right to file an action for visitation in a number of situations; such as when visitation is in the best interest of the child; when a parent has deserted a child; when parents have divorced; or when a child was born out of wedlock and the parents did not subsequently marry. In dependency cases, §39.059 provides grandparents and step-grandparents the right to reasonable visitation with a grandchild who has been adjudicated dependent and taken out of the physical custody of the parent. However visitation is only granted when it is determined that it is in the best interest of the child and such visitation would not interfere with the goals of the parent/child case plan. The parents of the child still have a fundamental right to object to grandparent visitation and Florida courts have also upheld that an intact family, including where a widowed parent has remarried, may thwart grandparent visitation rights. Grandparents sometimes find themselves in the position of acting as a parent for their minor grandchildren. This important role often doesn’t come with the parental rights that allow them to make decisions related to medical care, education, and more. 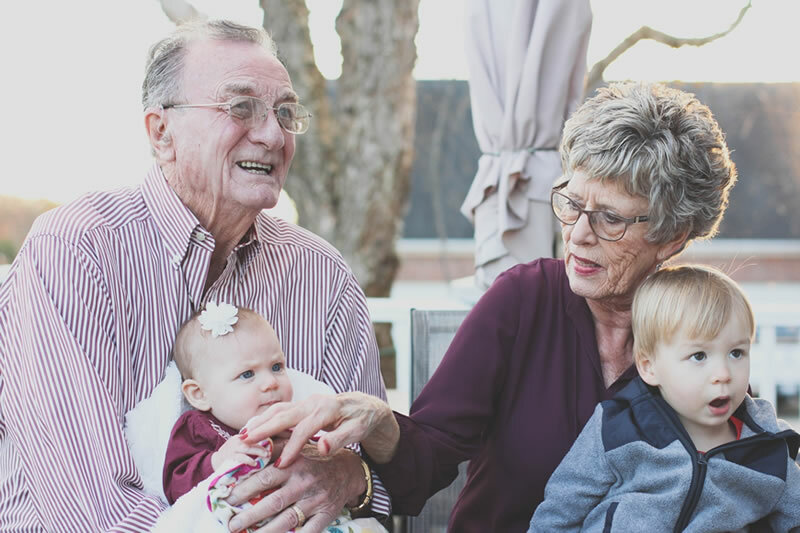 Although Florida does not grant extensive rights on grandparents, the law does recognize certain rights for grandparents in some custodial situations. As § 751.01(1), F.S., recognizes, “many minor children in this state live with and are well cared for by members of their extended families. The parents of these children have often provided for their care by placing them temporarily with another family member who is better able to care for them.” Chapter 751 therefore sets forth a procedure by which a court may award the temporary custody of a minor child to the grandparents. Pursuant to section 751.02(2), “[a]ny extended family member who is caring full-time for the child in the role of a substitute parent and with whom the child is presently living” may “bring proceedings …to determine the temporary custody of a minor child.” In these situations, it is important that a grandparent speak with a knowledgeable attorney to determine their rights and to make sure they have necessary documents to allow for proper care of the child in their safekeeping. Our highly experienced family law attorneys have studied the law on this issue and have successfully advocated for grandparent rights in many cases. Do you have questions about your rights as a grandparent in the State of Florida? Call us today for an initial consultation! We are available at (407) 426-6999 (Orlando Office) and at (407) 944-9969 (Kissimmee Office). You can also fill out the online form located on this page and one of our Orlando family law attorneys will contact you shortly.